The California Rock Garden (a Geology GATEway Garden) was developed in partnership with faculty, staff and students from the Department of Earth and Planetary Sciences, UC Davis Finance, Operations and Administration, the Office of Campus Planning and Environmental Stewardship and the UC Davis Arboretum and Public Garden as part of the UC Davis GATEways (Gardens, Arts and The Environment) Project. 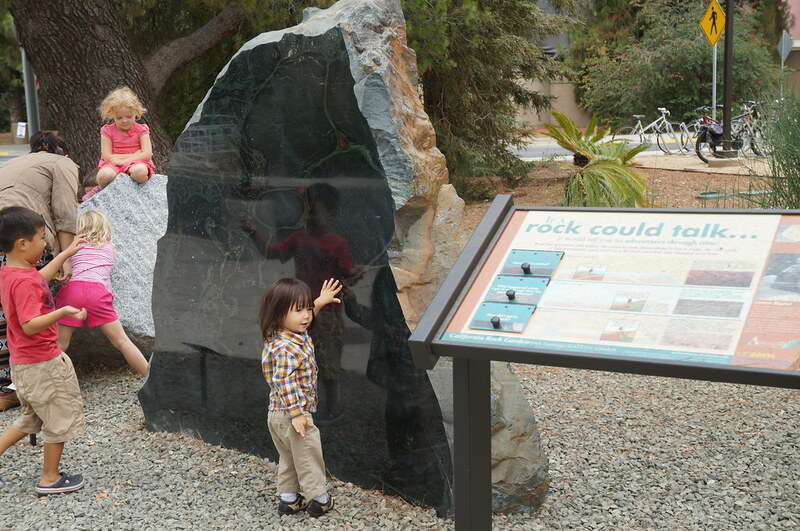 It displays boulders and core samples representative of various geologic features in California in addition to California native plants that are part of the UC Davis Arboretum All-Stars program. 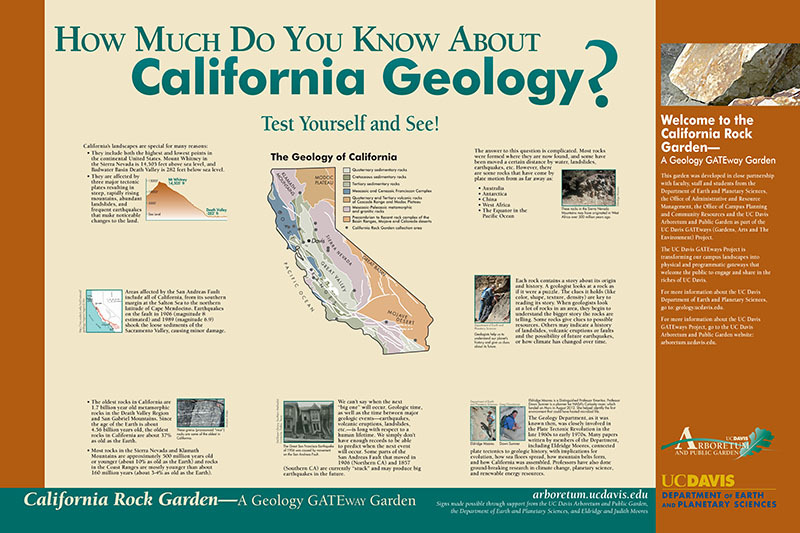 This garden used in many undergraduate geology classes and offers the public one location to study rock types from throughout the state of California without having to travel. The oldest rocks in California are 1.7 billion year old metamorphic rocks in the Death Valley Region and San Gabriel Mountains. Most rocks were formed where they are now found, and some have been moved a certain distance by water, landslides, earthquakes, etc. However, there are some rocks that have come by plate motion from as far away as Australia, Antarctica, China, West Africa and the Equator in the Pacific Ocean. Metamorphic rock is formed after another type of rock is changed by intense pressure, heat, movement, and/or water. Sedimentary rock is formed from other pieces of rock and/or mineral that get cemented together, and may include fragments of organic origin.